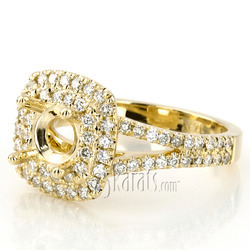 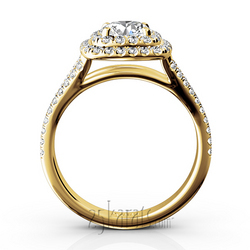 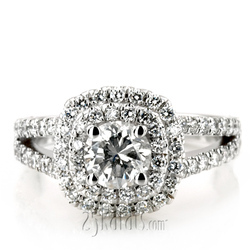 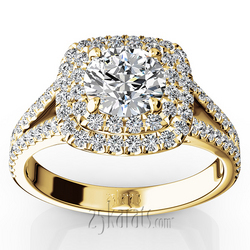 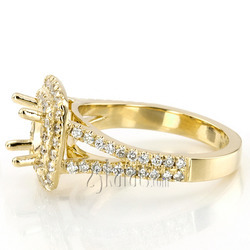 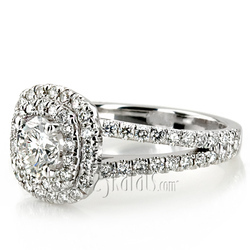 A two tier halo ring complete with split shank and accented with micro pave dazzling diamonds. 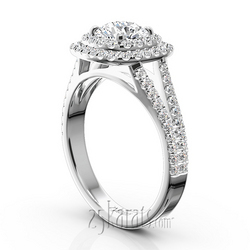 Hand set micro pave side diamonds on the ring total 0.80 ct. tw. 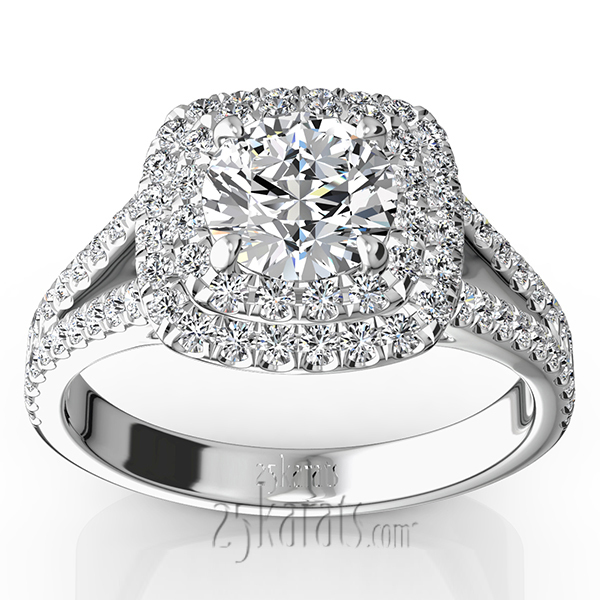 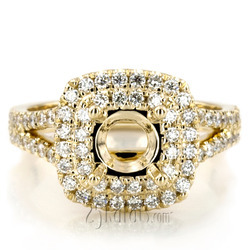 This setting is designed to showcase your choice of center stone. Available in 14k, 18k gold, platinum and palladium.